I live in Florida and love bass fishing. 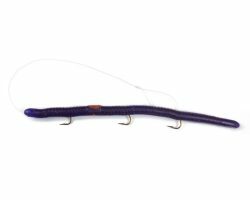 I take 3 poles with me i use a cheap zebco reel and have to use a swivel or they twist my line but ALWAYS have on pole set up with a purple and white..
Walleyes will gobble this thing up too. 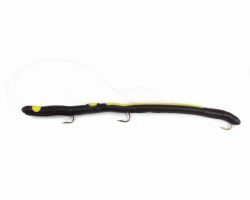 This thing perfectly mimics the “slow death” rigs that have been on the market for walleyes recently. With that in mind I bought some for last year’s walleye fishing trip. 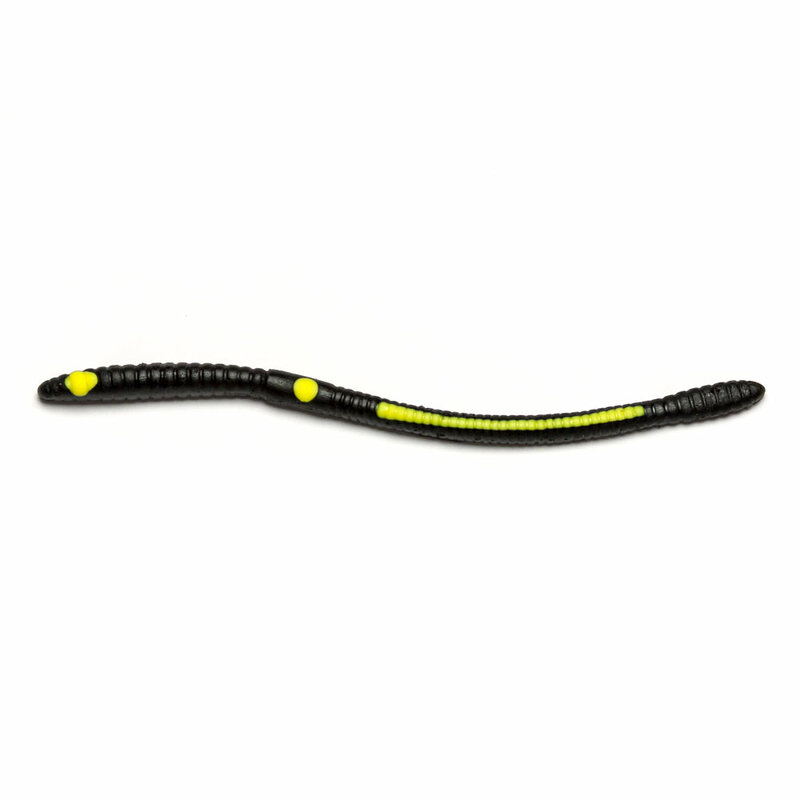 I was amazed at how many walleyes I caught with this worm…and how simple it is to fish…just a slow steady retrieve. It will always be tied onto one of my rods. SORRY, I won’t share the color that has worked best for me, but if you know the colors walleye prefer it shouldn’t be too hard to figure it out on your own. Yes you can order in any color or amount. Do hooks come with it already rigged?? Yes. All of our lures are already rigged with hooks. 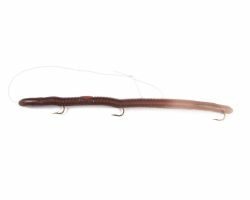 I have spent the last couple of years using night crawlers and cheap artificial worms fishing in Greene-Sullivan State Forest in southwestern Indiana. I had very little luck catching anything from the bank. 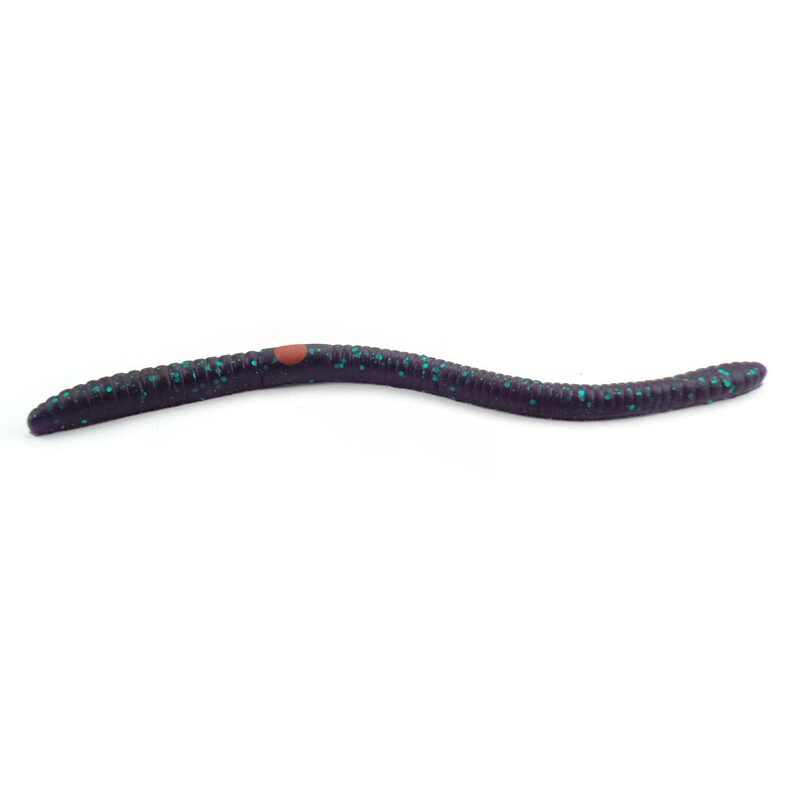 I bought the weedless purple worm with the pink dot today just to try something different. I hauled in a whopping 40 pounds of bass in less than 4 hours. I went back to the bait shop and bought more of your lures. I don’t see any reason for me to ever use anything else. 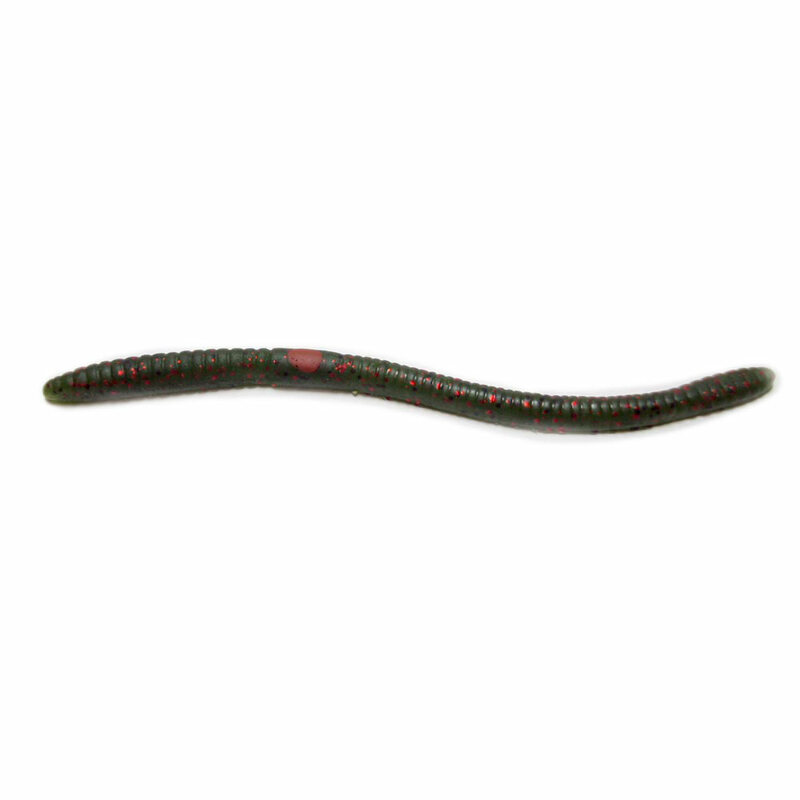 My wife insists on using night crawlers and does not like artificial bait at all. She saw me snagging one right after the other and we had to take a break and go get her one too. You are fishing lure gods in my book. 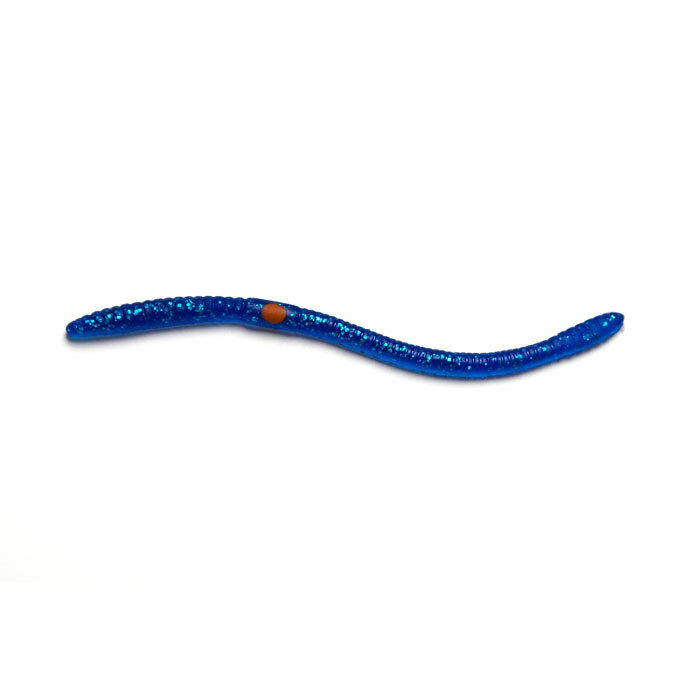 I happened on the weedless bass crawler several years ago in an upstate hardware store and was told by the owner if I didn’t catch more bass with this lure, he would double my money back. He never had to! I have a tackle box full of lures, but only use the purple/white and wine/white bass crawler. THEY’RE THE BEST!!! I fish all kinds of tackle for the challenge and variety of conditions and when nothing else is working I throw on the two hook weedless and it’s game on. I really should leave the big tackle bag at home and travel light with just with a few of these in my pocket. Its all you’ll ever need. I work them parallel to shore, along laydowns and points, or swim deep. 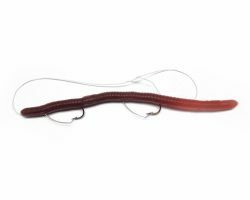 Tried texas, carolina, and drop shot rigs, and those work but found that plain weightless/rig-less dark colors work best. I probably shouldn’t… but I tell everyone I know about these worms. I have been trying to catch bass with all these other lures and nothing but right when i used Kelly’s bass lures i got 6 bass in 3 hours. I even caught a 17lb one be the biggest i ever caught. Iam never using another lure again. Been useing these for years many different lakes and conditions and have never been let down great bait quite effective….. This is the best bait out there. The purple and white one is my weapon of choice, we just call it the purple worm. It is hanging on my rod ready to go out. 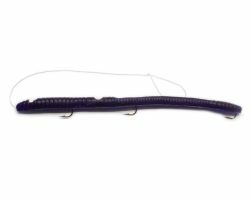 I try other lures when I know they are hitting the top but the purple worm is my go to baby. 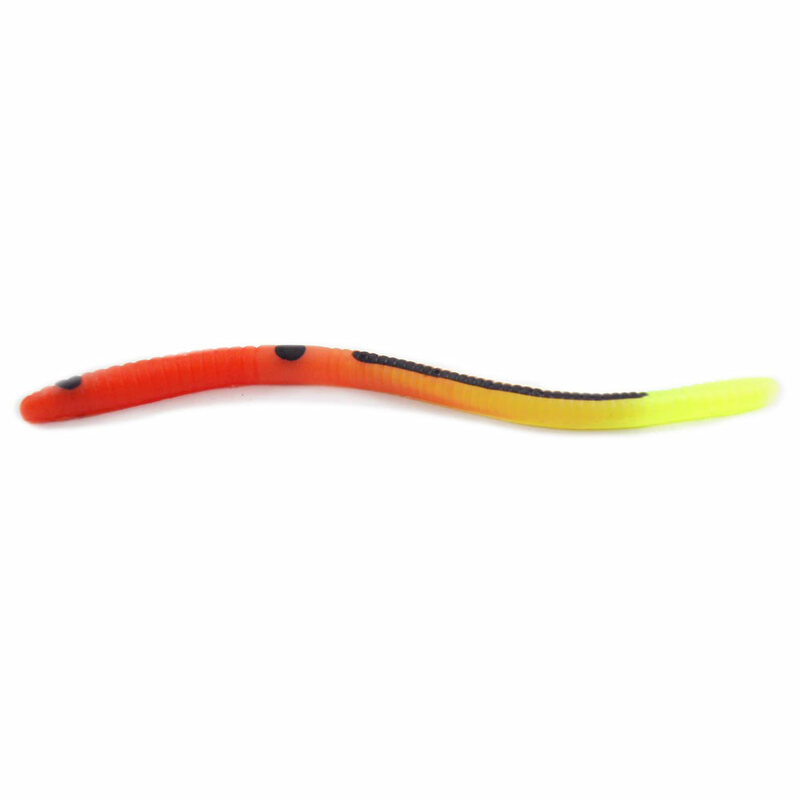 I must have twenty different worm’s from Kelly’s is my tattle box and love them all. I live in Maine and love my Bass fishing, just wish there were in more stores. CAUGHT 3 BASS WITHIN 20 MINUTES ,TOTAL WEIGHT WAS 21 LBS PLUS, THIS WAS IN A LAKE IN MASSACHUSETTS.ALSO CAUGHT A 8 PLUS LB IN MAINE.HAVE BEEN USING YOUR BASS CRAWLER FOR OVER 20 YEARS & CAN’T FIND ANY OTHER LURE TO MATCH IT. Thank You for the comment. What a wonderful testimony!!! Best lures out there! Caught many bass on these wouldn’t use anything else! My wife and I fish Kyle Lake in Falls Creek Pa, the “unholy weed lake of Pa” as I call it. We use Kelly’s weedless bass lures (all colors)..and slam the big bass home….I also caught an 18lb. 28inch Bowfin in Black Lake NY with one….I will not fish with any other lures. Kelly’s lures are the BEST!! 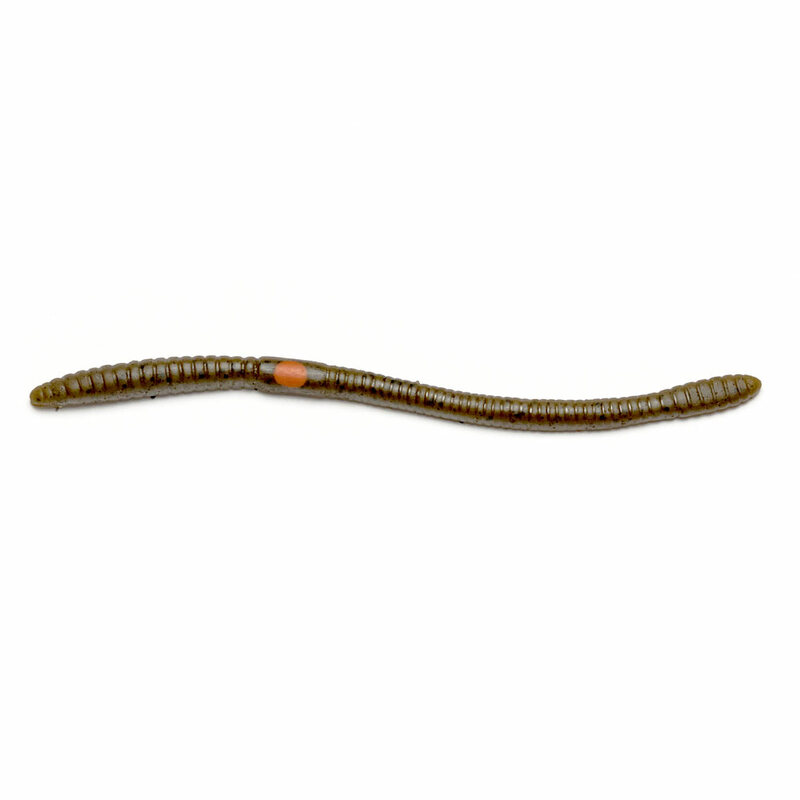 I’ve been fishing over 60 years and I’ve never seen anything like Kelly’s worms. They are great! In Aug. I caught the King Bass of the lake on one of Kelly’s worms. He was 20 1/2 inches long. I’m giving them to my sons for Christmas presents. ive been fishing these worms for 10 years and nothing comes close to catching bass consistently. We have tried many other bass crawlers over the years. 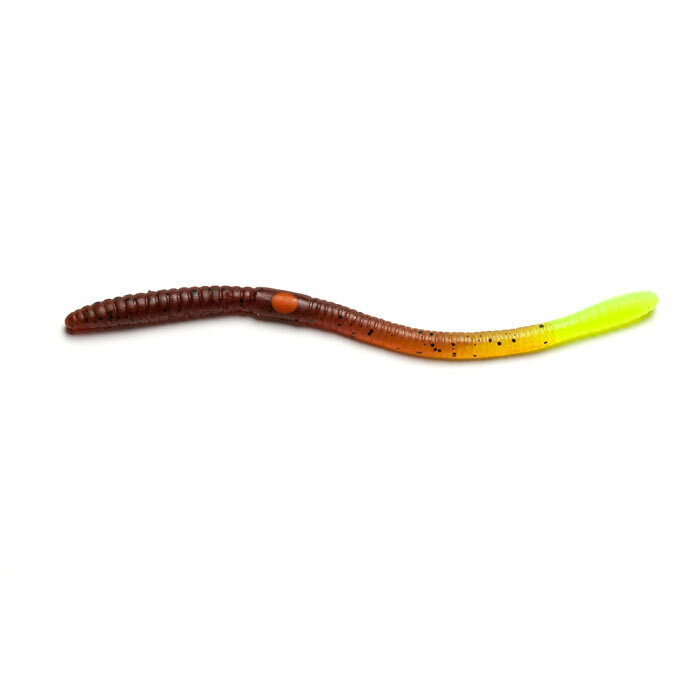 Nothing ever comes close to the action you will see with these crawlers… Try them you will love them. 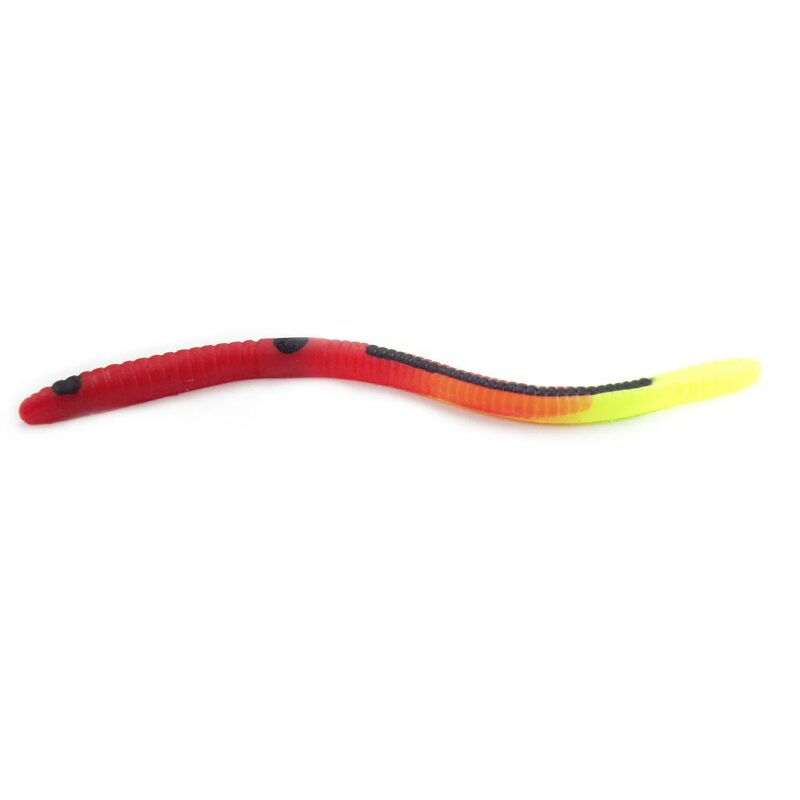 These are one of the only lures my family uses for bass fishing anymore as they never let us down! The weedless hooks are awesome. We can fish in weeds, lily pads and logs without getting caught. I used the black and white and caught 5 large mouth bass in 3 hours in shallow water with some weeds. I fished it by cranking a couple turns then leaving it sink. It did not snag on weeds. The fish hit when letting it sink.